Although Olympic focus has been trained on Rio, the gringa would like to take the dear reader back in time and to the other side of the globe to the 2008 Beijing Olympics. When China was preparing to host this historical event, pollution was high on the list of problems to solve. Although everyone is probably familiar with the tactic of temporary bans on driving & factory operations as drastic measures to help reduce smog. What many may not be aware of is China’s ambitious plans to control the weather, a $30 million dollar plan that they are still working on today. A plan to shoot into the heavens special “bullets” filled with salt and other minerals. What in the world are those crazy Chinese scientists up to? Apparently, nothing new! They’re just trying to make it rain. Officially called “weather modification”, China helped clear their smog-filled skies during the Olympic games by making it rain, rain, rain. They are not alone in being rainmakers. 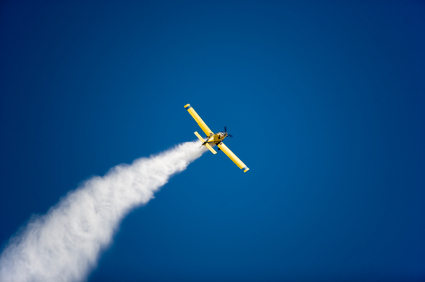 Fifty-two other countries have developed their own rainmaking strategies. Ten of these countries joining the rainmaking team only five years ago. Rainmaking countries include: Canada, United States, Mexico, Cuba, Brazil, Chile, Argentina, Australia, India, Senegal, South Africa, Russia and the list goes on. You can see the map created by the World Meteorological Organization to see who all is in on the rainmaking game. The gringa is rather ashamed to admit that as for the United States, the origins of its weather modification program is not as noble as China’s. For the U.S., it all started with Operation Popeye which was a top secret program that weaponized weather during the Vietnam War. Although I’m sure the scientists who worked for General Electric had noble intentions, they probably had no idea that the U.S. government was going to take their technology and rain down silver iodide on the poor Vietnamese people. Officials tracked weather patterns with satellites, planes, radar and supercomputer. 2 aircraft, 20 rocket launcher & artillery sites sprayed silver iodide and dry ice into remote cloud systems that might approach the stadium so they would dump their rain before arrival. Nearby cloud systems filled with rain were seeded with chemicals that shrink the water droplets thus ensuring that the clouds would have time to pass over the Bird’s Nest without dropping their rain. Now was all of this really necessary? The Beijing Olympics were held in August which is a high precipitation season for China so, yes, the gringa supposes that it was necessary. Consequently, China’s success in being a master rainmaker or rainstaller has resulted in China being the world leader in the weather modification sciences. They have more than 1,500 professionals devoted to all things necessary in controlling the weather: scientists, pilots, flight crews. Also proudly serving in the program are tens of thousands of peasant farmers who are more than happy to help their government blast away a cloud when crops have been inundated or have clouds seeded during times of drought. Peasants are on call to operate more than 7,000 aircraft guns and almost 5,000 rocket launchers when called to report to rainmaking duty. Let it rain. Let it rain. Let it rain. 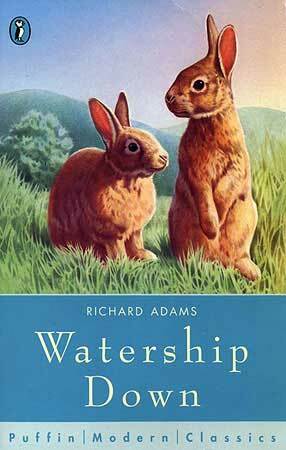 Continue with the gringa “Watership Down” by Richard Adams. The rabbits get a fright then discover a road. Common sense might tell you that technology and nature are mutually exclusive. However, the reality is that with climate change poised to revolutionize where humans farm, technology innovators are poised to revolutionize how we farm. And there are all kinds of ideas out there that are as fascinating as they are practical. Aquaponics is something the gringa would like to try. I have a small tropical fish aquarium I have experimented with over the past year. I feel ready for a greater challenge. This method will not only provide me with vegetables, but they will be fertilized by the poop produced by the food fish I will also farm in the same tank. An added plus is that my pint sized vegetable patch and fish farm can be an interesting decorative addition to my pint size apartment. This may be the future of urban farming for apartment dwellers. If you want to take your urban farming further than an apartment patio garden or indoor aquaponics garden, maybe the FarmBot is for you. If you live in a house with outdoor spaces, the FarmBot, which operates on a track system, can easily manage a backyard farm from beginning to end and provide enough fresh fruits and vegetables for a family of four each growing season. It plants seeds, waters and fertilizes each plant according to its variety needs, weeds the garden, and can be controlled from your smartphone or laptop just like playing a video game. The gringa thinks this sounds fun. For larger scale operations, artificial intelligence is taking over all sorts of chores that were once managed by humans. By using cameras and sensors, technology responds to climate conditions to optimize water usage. There is more to collected data than just evaluating rainfall and soil moisture levels. Plants are analyzed down to individual leaves for health and nutrition needs. Clouds are analyzed to predict potential rainfall which might result in delaying a watering activity that might otherwise have been performed, thus conserving one of Earth’s most precious natural resources. For farmers and gardeners interested in the latest sustainable methods. Some of the biggest retailers of agricultural products are being supplied by growers using this kind of technology: Wal Mart, Aldi and Tesco. 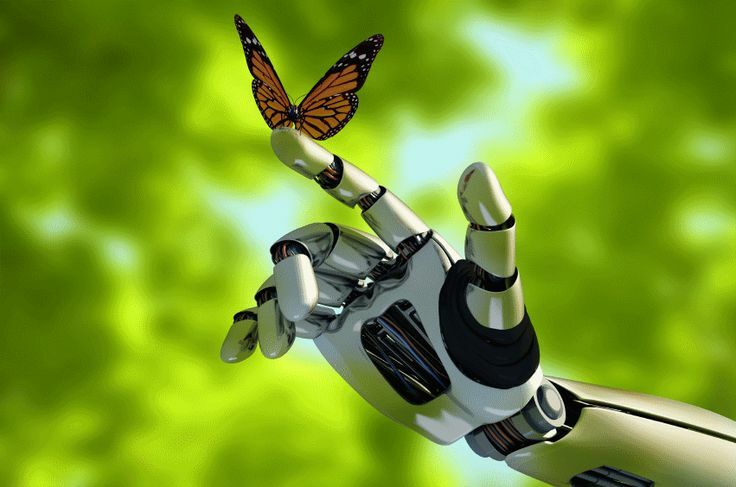 A promising future in agriculture awaits our youth who are interested in robotics, technology and saving the world. Together we continue the story, “Watership Down” by Richard Adams. Part 1, “The Journey”, rolls along with chapter six where we hear Dandelion tell the story of how Frith taught El-ahrairah a couple of lessons in humility, compassion and love. In April of this year NASA released findings related to the Earth’s melting ice sheets. Often when the gringa things about climate change, warming temperatures and melting ice sheets, the only thing I consider is how sea levels will rise. It never occurred to me that ice sheet disintegration may result in a more wobbly world. NASA asserts that over the past sixteen years Antarctica and Greenland, combined, have averaged about 400 billion tons of ice loss annually. Before the year 2000, as Earth spun on its axis it had a gentle drift toward Canada (westward). Because of ice loss, now the drift is about 75 degrees in the opposite direction, eastward. This happens because as ice converts to water and moves elsewhere, the distribution of Earth’s mass changes. What this means exactly is that the location of the North and South poles will change. In other words, Earth’s axis is relocating. Now, the traditional location of Earth’s North Pole may have to be renamed to the Northeastern Pole. Earth’s axis is like an invisible pin stuck through the Earth from North to South. The Earth spins on the tip of the pin, rotating with a slight wobble that is normal. However, if the geographic location of the Poles change, complete topographical and satellite telemetry systems have to be adjusted to accommodate this change. For the average person, this means that your GPS is going to deliver you to the wrong place! Scientists have long known that the Poles shift by a few centimeters from time to time as a part of Earth’s natural climate adjustment cycles. But what we are dealing with now is much more dramatic. Experts estimate that the shift is averaging about ten centimeters Eastward annually. Our great-great-grandchildren may have to adjust Christmas stories to have Santa Claus living in Russia or Norway. Although scientists understand that as ice continues to melt the Earth will adjust by shifting its axis to the place where it has lost mass, even their best predictions are really just a guess. This is an extremely complex problem. It’s not just melting ice sheets that affect the process but also loss of groundwater in above ground reservoirs and underground aquifers (which underground aquifers cannot be accurately measured) as well as glacier melt and glacier movement. Many glaciers float about the ocean as they please. The Earth’s ice and water storage formula affects polar drift. Yet many of the variables in the formula cannot be measured or can change their individual affect. So, scientists are left scratching their heads, doing the best with what they’ve got, and hazarding their best guess on what humanity can expect. Ice melt is not the only thing that can bump the North Pole to a different location. Enormous earthquakes and devastating tsunamis can do the job as well. Indonesia’s great earthquake moved the North Pole eastward by about 2.5 centimeters and also lengthened Earth’s day cycle by 2.68 microseconds. No wonder I’ve been so tired lately! The gringa is filled with wonder at how humans remain at the mercy of nature despite all of our technological advances.